This model is 178 cm and wears a size S. Their chest measures 76 cm and the waist 61 cm. 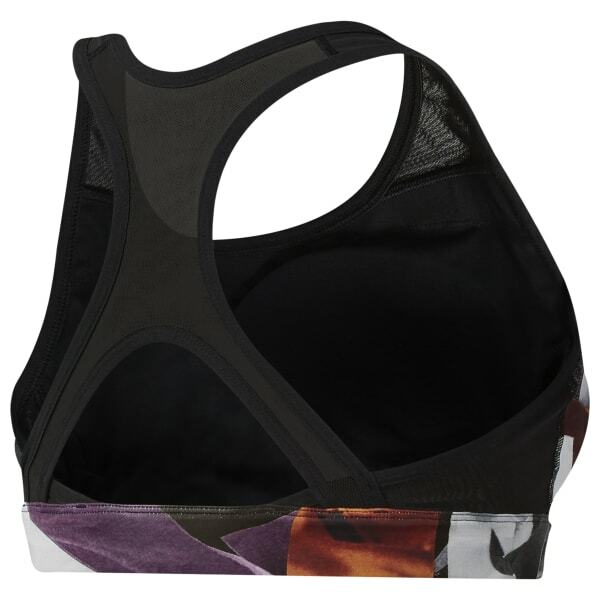 Your bold style in the studio makes its way onto this sports bra. Striking colors and images play together on an eclectic print created by artist Joseph Staples. The supportive racer-back design is made of sweat-wicking, fast-drying fabric that keeps you cool and dry as the heat builds on the dance floor.